How is it possible to know the time in every part of the world with a simple gaze at any moment of the day? Just have a look to the TIME ZONE CLOCK! set your "hour point" in one of the time zones of this circular map of the world (for instance, the Central European Time) and you would always have a normal notion of your actual time in any moment, as with any other clock. 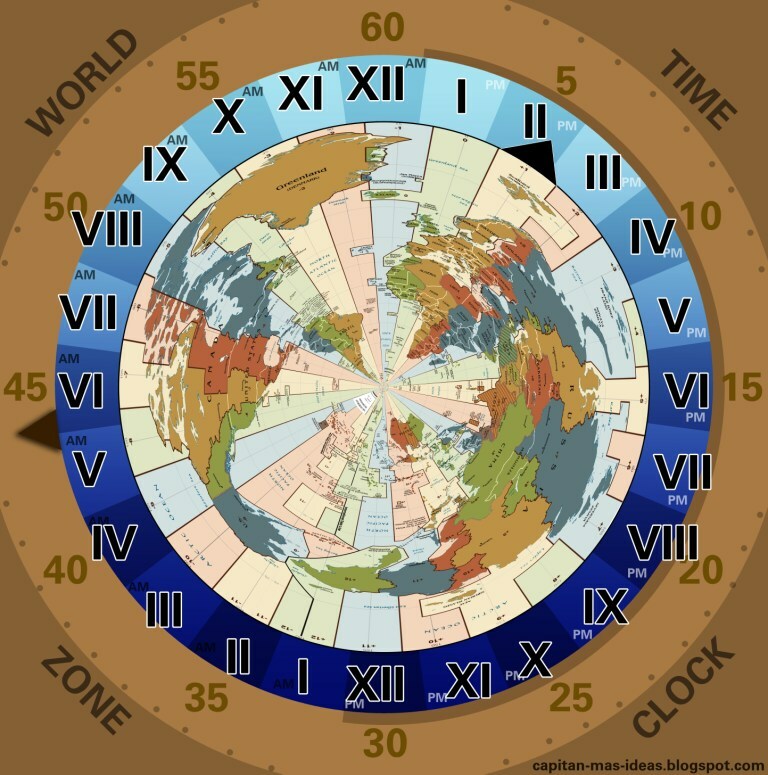 But look better: as you know the time in your city, you can focus in Eastern Australia, or Peru, or Tanzania, or wherever you like, and you'll know immediately what time is now in that part of the world!! Time in CET zone: 2:44 p.m.
Time in Eastern Australia: 11:44 p.m.
Time in Peru: 8:44 a.m.
Time in Tanzania: 4:44 p.m. So now you have a perfect notion of all the timing at any moment in every part of the world, but as the time is passing the clock is moving. Not just the black hour-arrow but all the map associated to it! So, all the map is turning clockwise and it's completing a entire circle in 24 hours. 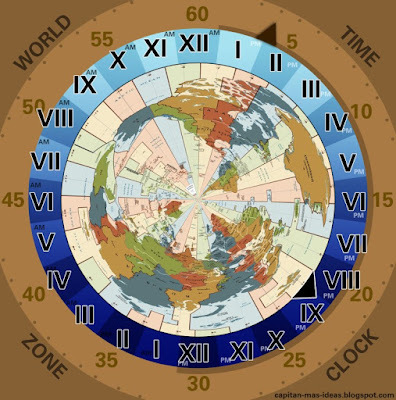 This is the situation of the clock map at 9:04 p.m. in Rome, for example (12:04 a.m. in Los Angeles, 4:04 a.m. in Shanghai). As you can see all the map moved forward. The Time Zone Clock movement is half of the speed of a normal clock (considering the hour-arrow) and a normal speed for the minute-arrow. 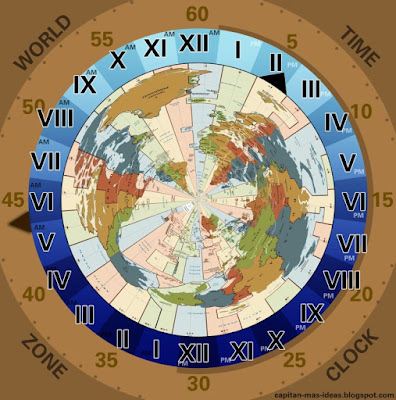 This clock is a perfect tool for all the people with friends and family around the world and for people working with connections in all the globe. 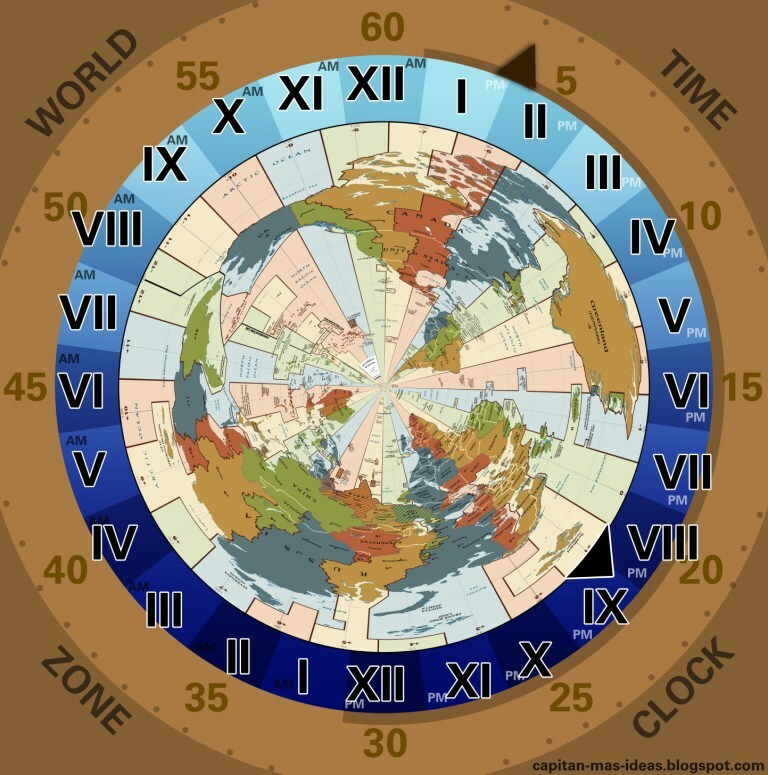 So just have your own Time Zone Clock!!! The time has come! By the way... what time? 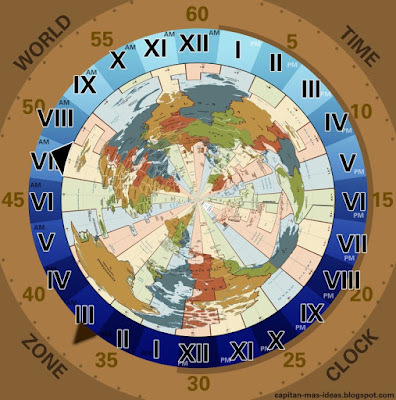 Don't you need a different map for Daylight Saving Time (which doesn't apply everywhere and is different on the Northern and Southern hemispheres)?